This week all classes have had the opportunity to learn Martial Arts. They understood the need to defend themselves if they were put in danger. Thank you to Lewis Clarke for delivering the sessions. The children watched the production of 'Sticks and Stones' to help them understand the different types of bullying that can occur in and out of school. 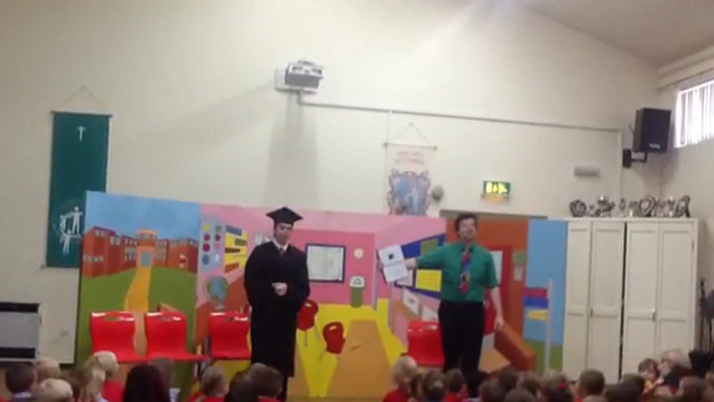 The children enjoyed the performance and listened carefully to the message that the production company performed.